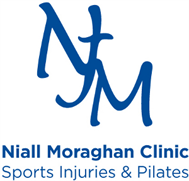 Niall Moraghan Clinic has over 17 years experience treating sports injuries at every level. The practice is situated at the picturesque coastline of Princetown Road, Bangor, overlooking the spectacular Marina. The practice specialises in sports injuries of all degrees and liaises with some of the top surgeons in the country. We use all the latest electrotherapy and laser equipment and have access to prompt MRI scanning facilities. Each patient is supplied with an individual rehabilitation programme tailored for their needs. We treat people of all sporting abilities, from recreational sports people to International athletes and Olympians. Instructing Pilates is now at the forefront of the Niall Moraghan Clinic with prevention rather than cure being our aim. Group classes are available at Bangor Lawn Tennis Club, Farnham Park (off Farnham Road) BT20 3SR and one to one Pilates is available on request. All levels welcome, mats provided. There is a twice weekly Clinic available at Orchard Leisure Centre, Armagh. Phone 028 9147 1358 for an appointment.